Join us for our Annual Fall Festival on October 31! Come dressed up and festive for an amazing night of family-friendly activities, games and candy! 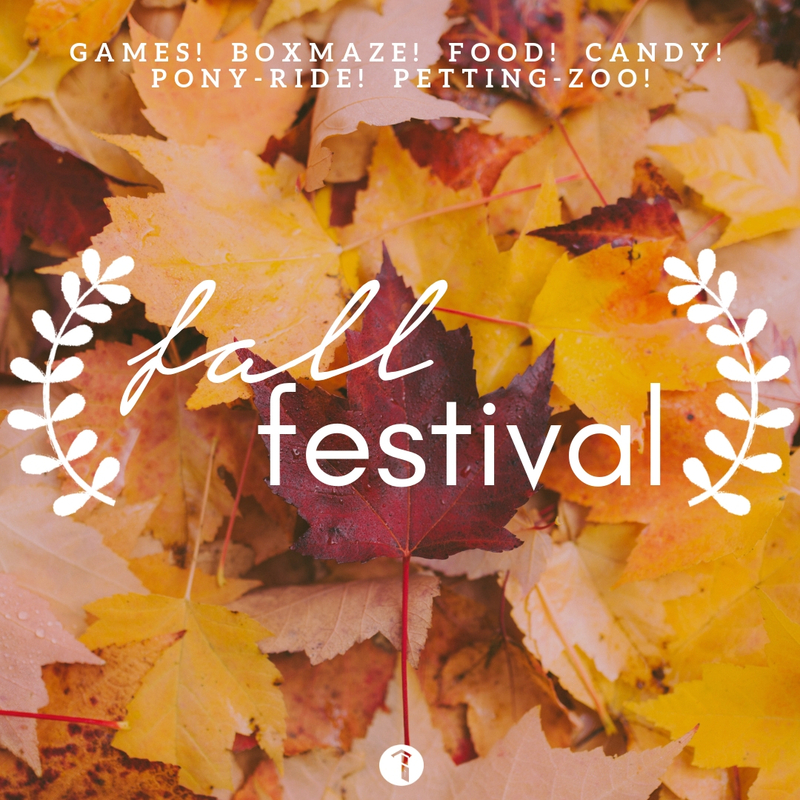 We serve free food, offer games spread across our entire campus, a pony ride, a petting zoo, a box maze in our Student Ministry building, face painting, and so much more! You won't want to miss this amazing event!